2 oz Bottle of Dr. Brand One automatic transmission instant shudder fix. A concentrated friction modifier formulated specifically for instantly eliminating torque converter lock-up shudder. Provides 4x's less wear than regular ATF. For use in any automatic transmission fluid. Not for use in Ford Type F or CVT applications. 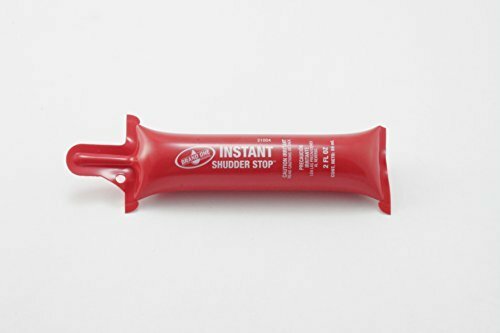 Packaged in a uniquely engineered two ounce application tube Brand One Instant Shudder FixTM is compatible with conventional or synthetic automatic transmission fluids. This formulation of friction modifiers made of synthetics and synthetic esters is concentrated five times! A concentrated friction modifier formulated specifically for instantly eliminating torque converter lock-up shudder. For use in any automatic transmission fluid. Not for use in Ford Type F or CVT applications. This formulation of friction modifiers made of synthetics and synthetic esters is concentrated five times! Two ounce application tube Brand One Instant Shudder FixTM is compatible with conventional or synthetic automatic transmission fluids. If you have any questions about this product by BrandOne, contact us by completing and submitting the form below. If you are looking for a specif part number, please include it with your message.